It is always great to win a prize, but this year we won two for our Nulla and Sampei products. But not just any prize, two Compasso D’Oro ADI, Italy’s highest design accolade. I dedicate this award to my team, to all the people who have been working for me every day for many years. It was exactly 25 years ago when I designed and manufactured my first lamps and embarked on my adventure in the design world. The lamps I make now are the same, in the soul, as the ones I made in the beginning. I am for my works to always capture feelings of mystery and unsettledness. This is the way I like them. Even Nulla e Sampei reflect this. Nulla is an 18 mm diameter black hole in the ceiling and it is the denial of everything. It’s the idea of the light coming from above. This is the light of Caravaggio, the best light in the world. It’s the result of my personal search to create light without a source. 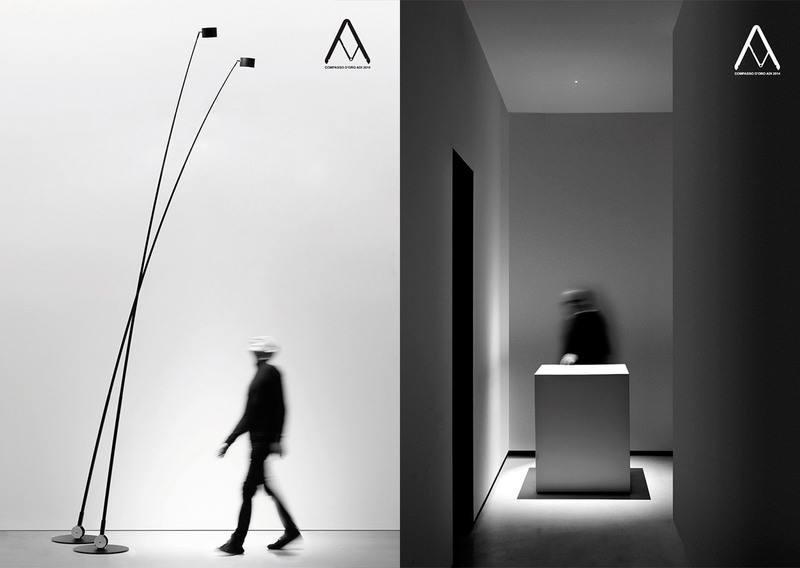 The idea behind Sampei is to create its signature in the space, directing the light to the ground or over a table. It gives the illusion of being like a blade of grass that swings and bends in the breeze. In essence, Sampei is like a fishing rod.